Fatah and Palestinian Authority President Mahmoud Abbas are going to Cairo to put the latest developments on the issue before Arab foreign ministers. Member of Fatah Executive Committee Mohammad Shtayyeh has said that Israel has killed 31 Palestinians, arrested 500 and destroyed 208 Palestinian houses since July when the Palestinian-Israeli peace talks resumed. Meanwhile, he appreciated the efforts of the US Secretary of State John Kerry being exerted in this issue. He also appreciated the EU and Quartet efforts supporting the two-state solution. He called for those bodies to develop their stances by boycotting settlements and their products. On the Arabic front, he also said that Fatah and Palestinian Authority President Mahmoud Abbas are going to Cairo to put the latest developments on the issue before Arab foreign ministers. It’s the Sunday before Christmas. London is wearing its party frock; the lights are glittering, the bells are chiming; the throng of shoppers are streaming up and down the streets. Happy and joyous are they all. And here I am, a Palestinian exile, a grandfather, a father and a husband, trying to bring some of this happy mood into a corner of London that I call my little Palestine. Amongst all this, my heart and thoughts are with my people back home, going through the most arduous winter on record. Snow has covered the entire Middle East in the last week or so. Palestinians inside Palestine, in the refugee camps dotted around the Arab world are all at the mercy of the elements. Gaza is not only totally besieged and freezing but is also flooded by sewage, courtesy of the ever merciful Israelis. In the West Bank they decided this harsh winter week was a good time to cut the electricity. After all, the illegal settlers need it more. I did not deliberately sit down to write a lament or a sad piece, but the situation is very sad and where we are heading is totally lamentable. I refer here to the on going, utterly useless, not to say cringe-making and vomit inducing charade that is still unfolding in Jerusalem, Ramallah and Amman under the name of ‘peace’ negotiations. What is it that makes our leaders tread the same path over and over and over again, knowing that it can only lead to disaster? The path I speak of is the one leading inevitably towards The West in general and to Washington DC in particular. How is it possible that a leader of Palestine can place his trust in the hands of the United States of America when administration after administration, since Harry Truman, has been firmly, subserviently, faithfully on the side of Israel? In a speech on December 7th, just two weeks ago, the current presiding ‘peace’ negotiator, US Secretary of State, John Kerry, described the US as “the honest broker”. How does that work when, in the same speech, the ‘honest broker’ stated, “I have spent almost 30 years in the US State Senate, and I am proud of my 100% voting record for Israel”? Isn’t this Apartheid, Mr. Kerry? As if that isn’t enough, Kerry also went on to describe Palestinian Israelis as a “demographic time bomb” and an “existential threat to Israel”. What are you calling for, Mr. Kerry? A total ethnic cleansing of Palestinians out of Palestine? · Demilitarization of the new State of Palestine, under US control. Putting the borders between Palestine and Jordan under joint Israeli/Palestinian control. · Maintaining an Israeli military presence on the western side of the River Jordan. · Installing Israeli early-warning stations on the eastward slopes of the West Bank highlands. · Postponement of arrangements for the final status of Gaza Strip. Leaving the Gazans, as ever, besieged and in limbo and bereft from the main body of Palestine. Do the Palestinians have a say in any of this, Mr. Kerry? Have they any rights? This appears to be a list Israeli demands. Is this what ‘honest brokering’ American style looks like? Meanwhile, while he was in South Africa for the funeral of the late Nelson Mandela, Mr. Abbas firmly rejected the campaign in South Africa to boycott and divest from Israel. “We are not calling for the boycott of Israel,” he said. “We are calling for a boycott of products from the settlements.” You see, when the shepherd can’t take care of his flock how can we blame the prowling wolf? Yes, we’re told that our ‘friendly relationships’ with The West and America are a must if we are to achieve our goals. We have to befriend anybody and everybody who will serve our interest. Fine. America is the one and only remaining super-power but when you know that the most powerful country in the world is tucked in bed with your enemy what do you do? This is the latest pronouncement from the ‘peace seeker’, Mr. Benjamin Netanyahu in response to the American request ‘to refrain’ from the announcement of further settlements in the West Bank and Occupied Territories. It was as if America had not even spoken. I can’t help being reminded of Ariel Sharon’s reprimand to his then Foreign Minister, Shimon Peres, when Peres cautioned him not to upset the Americans. When your ‘partner in peace’ is not even remotely interested in peace then why carry on? When the so-called arbitrators of peace are openly slanted towards your foe, why keep trusting them? When the facts on the ground speak volumes of their continued occupation, colonization and ethnic cleansing of your people and land, why in God’s name do you continue on this path to oblivion? When injustice becomes law, rebellion becomes a duty. Is it right, Mr. Kerry, that you reward the thief and punish the victim? Is that ‘The American Way’? 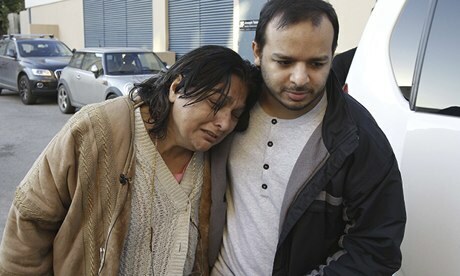 Fatima and Afrozi, the mother and brother of Abbas Khan, the British doctor who died in a Syrian jail, grieve outside the Hotel Dieu hospital in Beirut where the coffin of her son was brought by the Lebanese Red Cross. A convoy of British doctors left the UK for Syria this weekend as aid groups vowed not to be deterred by the death last week of Dr Abbas Khan in a Syrian prison cell. On Saturday Khan’s body was being transported by the Red Cross into Lebanon, where it will be handed over to the British embassy. Meanwhile, a fleet of more than 40 ambulances carrying medical volunteers and supplies left on an eight-day journey to the war-torn country. Several had “RIP Dr Abbas Khan” emblazoned on the side. The vehicles will be driven into Syria and left there for local medics to use as makeshift health clinics and ambulances. “It’s really tragic that we lost Dr Khan, but even his family have said there are hundreds dying in Syria every day and so many doctors and medical staff just want to help,” said Dr Shameela Islam-Zulfiqar, from Manchester. “People have been asking, ‘why are we going?’ The question is why aren’t we doing more? The work of UK charities is a drop in the ocean, but I’d rather be part of that than do nothing. The timing of Dr Khan’s death is very deliberate by the regime. They know the holiday season means the aid convoys will be coming and it was a very symbolic act – don’t come or look what we will do.” She will be on board the convoy, which is funded by the Worcester-based charity Al Fatiha Globaland the Aid4Syria campaign. Khan, a surgeon at London’s Royal National Orthopaedic hospital, was among dozens of medical staff from around the UK who have been going in and out of Syria since the conflict began in March 2011. He was picked up by Syrian authorities and held captive, being frequently tortured, for over a year. Syria’s deputy foreign minister, Faisal Mekdad, said that Khan, 32, took his own life in an interrogation cell, a claim dismissed by the British government and rejected as “utter nonsense” by Khan’s brother, Shah Nawaz, who blame the Assad regime. The forecast is for one of the coldest winters in Syria for 100 years, with more than four million people displaced inside the country and an estimated two million who have fled into neighbouring countries, facing an increasingly bleak existence. There have already been reports of at least six children and dozens of elderly people freezing to death. The humanitarian crisis and the scale of the violence in Syria has led to criticism of Britain’s position on refugees by the UN refugees agency (UNHCR), which has called this the worst refugee disaster since the 1994 Rwandan genocide. The UK has refused to join 16 other major nations, including France, Germany, the US, Canada and Australia, which have pledged a limited number of extra resettlement places to some of the most vulnerable refugees. The shadow home secretary, Yvette Cooper, said she would be lobbying the coalition government to respond to the UNCHR appeal and allow Syrian refugees into Britain. Chuka Umunna, the Labour MP for Streatham, said he was aware of the family’s frustrations at the handling of the case and has asked foreign secretary William Hague to meet them. The Foreign Office insisted it had been working hard to secure Khan’s release, but had been “consistently ignored” by the Syrian authorities. Directing attacks against hospital facilities or against entities carrying the Red Cross or Red Crescent emblems is a war crime. Joint UN-Arab League envoy Lakhdar Brahimi holds press conference in Geneva. 20 December 2013 – The Joint Special Representative of the United Nations and the League of Arab States for Syria, Lakhdar Brahimi today announced that more than 30 nations have been invited to attend the long-sought Syria peace conference to be held in Geneva next month. Mr. Brahimi said invitees to the so-called “Geneva II” conference include the UN, the five permanent members of the Security Council (China, France, Russia, United Kingdom and the United States), the League of Arab States, the European Union, the Organization of Islamic Cooperation, and 26 other countries. “On Iran, we haven’t agreed yet. But it is no secret that we in the United Nations welcome the participation of Iran,” he told journalists in Geneva following meetings there with the United States and Russia, and then with a wider group of countries. “But our partners in the United States are still not convinced that Iran’s participation would be the right thing to do,” he noted, adding that the remaining list of invitees for the 22 January 2014 conference has been agreed to. The conference, originally scheduled to take place in Geneva, will now be held in two parts, with the opening session in Montreux, and, after a day’s break, moving on 24 January to UN headquarters in Geneva. The conference will bring the Syrian Government and the opposition to a negotiating table for the first time since the conflict started in March 2011. The goal of the conference would be to achieve a political solution to the conflict through a comprehensive agreement between the Government and the opposition for the full implementation of the Geneva communiqué, adopted after the first international meeting on the issue on 30 June 2012. He stressed that access is “very, very important” with UN and partners working on getting aid to about 10 million people out of the 23 million who need help. Today’s discussions also focused on women, Mr. Brahimi said, and the importance of making sure that their voice about the future of their country is heard. A meeting on the topic was held yesterday with a larger conference organized by UN Women scheduled for 12 and 13 January. Red Crescent chief Mohammed Atiq, quoted by state news agency WAM, said a Friday-Saturday telethon organised by local television collected 102 million dirhams ($27.8 million). An Emirati campaign to raise funds for Syrian refugees faced with harsh winter conditions in camps in neighbouring states has raised almost $28 million, the Red Crescent announced Saturday. The United Nations on Monday appealed for a record $12.9 billion in global emergency aid, half of which is for victims of Syria’s war, which has displaced millions both within the country and across its borders. The oil-rich UAE, like its Gulf neighbours, has come out in support of the opposition battling to oust Syrian President Bashar al-Assad. 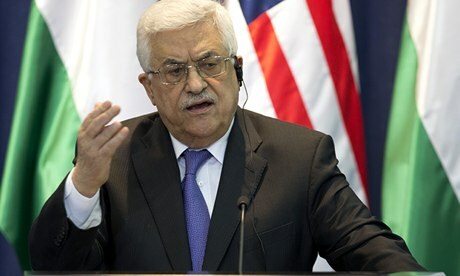 The Palestinian president, Mahmoud Abbas, made a distinction between Israel within its internationally recognised borders and its settlements in the Palestinian territories. The boycott movement claims it is on a roll, citing a recent EU prohibitionagainst giving grants or funds to bodies with links to settlements, awarning by the British government that firms risk damaging their reputations if they have dealings with Israeli enterprises across the Green Line, and the decision by a Dutch company to sever links with the Israeli water company, Mekorot. This year Stephen Hawking declined an invitation to a conference in Jerusalem. Even the British consulate in East Jerusalem, home to her majesty’s representative to the Palestinian Authority, operates an informal boycott policy, declining to serve settlement wines, water or other produce at functions. The Boycott, Divestment and Sanctions (BDS) campaign, set up in 2005 by more than 170 Palestinian civil society organisations, expects next year “to cross even higher thresholds in its drive to isolate Israel, just as South Africa was isolated under apartheid”, said Omar Barghouti, one of its founding members. Noam Chomsky supports a settlement boycott, but has said a boycott of Israel was “a gift to Israeli hardliners and their American supporters”. BETHLEHEM (Ma’an) — A military analyst said Friday that night raids and arrests in the West Bank “should continue for years” even after the signing of an Israeli-Palestinian peace agreement. Issa Qaraqe, Palestinian Authority minister of prisoners’ affairs, told Ma’an that the PA completely rejects this view. During US-moderated peace negotiations with Israel, Qaraqe said the US proposed a continued Israeli security presence in the Palestinian state after a peace agreement is reached. The Israeli military carries out nightly raids on villages in the West Bank, in which soldiers regularly enter houses after midnight and detain Palestinians, often minors. Over the past decade, Israeli forces have arrested, interrogated and prosecuted around 7,000 children between 12 and 17, mostly boys, at a rate equivalent to “an average of two children each day,” according to a March report by the UN Children’s Fund. A still image taken from video released by Egypt’s Al Watan newspaper shows what the newspaper says is ousted former Egyptian leader Mohamed Mursi speaking to unidentified individuals whilst in prison. (Reuters) – Egypt’s deposed Islamist president, Mohamed Mursi, and 129 others including members of Hamas and Hezbollah, were referred to trial on Saturday on murder and other charges related to a mass jail break during the 2011 uprising against Hosni Mubarak. These are the third set of charges brought against Mursi since he was ousted by the army in July amid street protests against his rule and they intensify the relentless repression of his Muslim Brotherhood group in the months that followed. Earlier this week, the prosecutor ordered Mursi and 35 other Brotherhood leaders to stand trial in a separate case that charges them with plotting with foreigners including Hamas and Hezbollah to carry out a terrorist conspiracy against Egypt. Those charges, described as “risible” by the Brotherhood, could result in the death penalty for Mursi and his colleagues. On Thursday, U.S. Defense Secretary Chuck Hagel expressed concern about the charges against Mursi and other Brotherhood leaders in a phone call with army chief General Abdel Fattah al-Sisi, the man who ousted Egypt’s first freely elected leader. Sisi is widely seen as the person most likely to win a presidential election expected next year were he to run. The next stage in the army’s transition plan is a mid-January referendum on a new constitution. The security forces have killed hundreds of Brotherhood supporters in the streets and arrested thousands more. The government accuses the group, previously Egypt’s best-organized political and religious movement, of turning to violence and terrorism – charges the Brotherhood denies. In a three-page statement, investigating judge Hassan al-Samir described the new case, relating to prison breaks during the anti-Mubarak revolt, as “the most dangerous crime of terrorism the country had witnessed”. Samir said he had uncovered a “terrorist plan” hatched by the Brotherhood long ago and carried out with foreign players including Lebanon’s Shi’ite militant Hezbollah movement and the Palestinian Islamist Hamas group which rules the Gaza Strip. Mursi was one of those who escaped from prison after being rounded up with other Brotherhood leaders after the 18-day uprising that toppled Mubarak broke out on January 25, 2011. In a telephone interview with Al Jazeera immediately after he left prison, Mursi said the jail had been opened by locals with no instructions from Brotherhood leaders. He said he and other Brotherhood leaders had not fled and were looking for representatives of the prosecution to report what had happened. Samir’s statement did not name the accused Hezbollah or Hamas members. A judicial source said 68 of them belonged to Hamas. At least one Hezbollah operative jailed in Egypt escaped during the chaos in 2011. He then fled to Lebanon. An ideological cousin of the Muslim Brotherhood, Hamas had been part of an alliance including Hezbollah until the Arab Spring uprising redrew the political map of the region. Mursi’s opponents demonized the Palestinian group during his year in office, accusing it of scheming against Egypt. Mursi and his comrades, including Brotherhood leader Mohamed Badie, were charged with killing and kidnapping policemen, attacking police facilities and carrying out the prison break. After protests against Mubarak began, the prosecutor said, the Brotherhood, extremist groups and more than 800 militants who had infiltrated from Gaza staged attacks on police before assaulting three prisons to release their allies. At least 50 police and prisoners were killed in the raids in which at least 20,000 criminals escaped, Samir’s statement said. The accused were also charged with kidnapping four policemen and holding them in the Gaza Strip. It also said the men had “appropriated animal and poultry livestock” from the prisons. The judicial source said Sheikh Yusuf al-Qaradawi, a prominent cleric based in Qatar, was among the accused. The charges brought against Mursi and the Brotherhood this week formally implicate them in violence against security forces in the Sinai Peninsula, the desert territory bordering Israel where militant attacks spiked after Mursi’s overthrow. Some 200 soldiers and policemen have been killed since then. The cases also bring formal charges against members of Mursi’s presidential staff who had been held without charge since July. These include Essam El-Haddad, his national security adviser, who is accused of divulging state secrets to Hezbollah, Hamas and the Iran’s Revolutionary Guards. Haddad and another presidential aide, Ayman Ali, were both transferred to a maximum security prison on the outskirts of Cairo on Saturday, a security official said. The army-backed authorities have in recent weeks also charged secular activists in connection with protests organized in defiance of a new law that restricts the right to assembly. In a move criticized by activists as an escalation against dissenters, the police raided the offices of a prominent rights organization this week, holding five activists for nine hours and arresting another sought in connection with protests. New York-based Human Rights Watch said on Saturday that the Egyptian security forces had “expanded their harassment of political activists”, saying the government was targeting voices demanding “justice and security agency reform”. JERUSALEM (Ma’an) — A Palestinian prisoner from Jerusalem named Bilal Ahmad Yousef Abu Hussein, 44, has entered his 26th year in a row in Israeli jails. 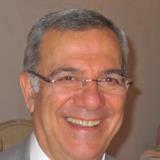 Hussein was detained on Dec. 20, 1988, during the First Intifada, and was sentenced to 38 years in prison. He was 19 at the time of his detention. He was jailed first at Jalbou prison and later moved between several other prisons. Hussein is originally from al-Fariq neighborhood in Jabal al-Mukaber area in Jerusalem. Some 5,200 Palestinians were being held in Israeli jails as of October 2013, according to the Palestinian Authority’s Ministry of Prisoners’ Affairs. Another 1,280 are in Israeli prisons for being inside Israel without permits. 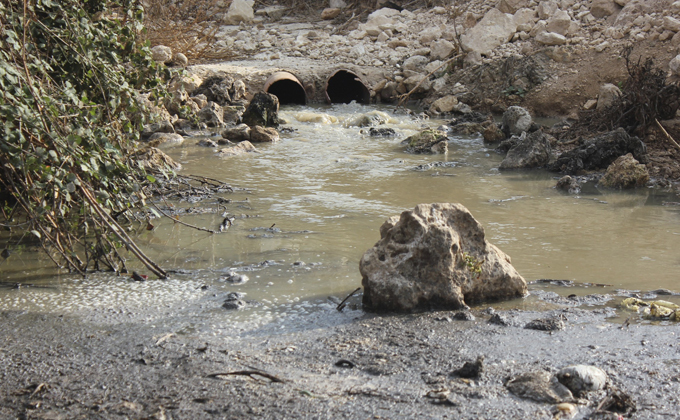 Polluted water and lack of treatment plants have hurt the environment as well as human health in the West Bank. Salfit Governorate, Occupied West Bank – Khaled Sabra stands next to a broken cement wall across from his house in the Palestinian village of Bruqin. Last winter, the rains caused the stream running below the wall to rise until it overflowed, flooding Sabra’s house and other homes in the centre of the village. The water also carried sewage and industrial effluent from the Palestinian village of Salfit and the Israeli settlements of Ariel, Ariel West and Barkan. Community members had to break the wall so the polluted water could recede from their homes and the street. The effects of the pollution, however, remained even as the contaminated water flowed away. All of Sabra’s seven children and his wife have allergies, respiratory difficulties and skin diseases, he says as he rolls up the sleeve of his young daughter’s dress to show the scabbing from a rash. The doctor keeps prescribing medications and treatments, but they are unaffordable and, Sabra says, not a solution for the source of the ailments: the polluted water. Many of Bruqin’s 4,200 residents, as well as those of nearby villages, are experiencing similar health issues due to the polluted water, according to the village’s mayor, Nafez Barakat. In response to a petition from the Bruqin municipality, the Palestinian Authority recently approved plans to build a two-kilometre-long pipe to move the wastewater running through the village centre. A treatment plant could serve all seven Palestinian villages in the area. It would protect residents and the surrounding agricultural areas from the pollution and provide water for agriculture. Plans to build a treatment plant have been in the works since 1994, according to Adel Yasin, director of the wastewater department at the Palestinian Water Authority (PWA). The plant was supposed to be the first constructed in the West Bank under Palestinian control. The project received approval from Israeli authorities in the mid-1990s, and construction began in 1998 with funding and support from the German development bank KfW. But two months later Israeli soldiers came and ordered work to stop, recalls Saleh Afaneh, head of the technical department in the Salfit municipality. The Israeli military cited security reasons for stopping the construction but did not provide any further explanation, Yasin adds. In 2002, Israel gave approval for the treatment plant to be built in a second location, but plans were put on hold when it was found that treated water from the plant would mix with polluted water from Ariel just 20 metres downstream. Through the Joint Water Committee (JWC), a Palestinian/Israeli body managing water-related issues in the West Bank, the Israelis proposed connecting Ariel to the Salfit plant. The Palestinians rejected this option because they saw it as granting implicit recognition to the settlement, according to Yasin. The second option was to build a pipeline to bring Ariel’s sewage across the Green Line for treatment in Israel. The Palestinians approved this project in 2008. Five years later, Israel has yet to begin construction on the pipeline – so the project to build a wastewater treatment plant for Salfit remains on hold. Starting in 1996, the PA named the construction of wastewater treatment facilities as one of its top development priorities, according to a 2009 report by the Israeli human rights organisation B’Tselem. Today, only two plants have been built, although projects for at least three more are in various stages of implementation. Politicking and deadlock in the JWC have delayed development, according to Eyad Yacob, a former member. The committee has only met once in the past two years and not approved any projects. Projects also often need additional approval from the Israeli Civil Administration, further slowing the process. And in the past, Israel has approved the construction of facilities only if Palestinians allow settlements to connect to them as well, according to B’Tselem. For Palestinians, this pits environmental and health concerns against fundamental political principles. “We don’t wish to have any cooperation between Palestinians and the settlers,” Yasin explains. The failure to develop adequate wastewater treatment infrastructure has led to the pollution of fresh water resources in the West Bank. The five streams Palestinians in the West Bank have historically relied on for drinking water and irrigation are now flowing with sewage, says Malek Abualfailat, a project manager at Friends of the Earth Middle East (FoEME). Palestinians and Israeli settlers both contribute to this pollution. Thirty-three percent of Palestinian wastewater is released directly into valleys without treatment while 65 percent is collected in cesspits that leach into the ground, according to a 2011 PWA report. Many Israeli settlements treat their wastewater before releasing it into nearby valleys. But, in several settlements such as Ariel, wastewater treatment facilities do not always function or treat sewage to adequate levels, according to Youval Arbel, a project director at FoEME. Additionally, many highly polluting factories have moved into settlement industrial zones, such as Barkan and Ariel West, to take advantage of a lack of regulation. In recent years, Nitzan Levi says, the problem with pollution from settlements has improved. Levi is the director general of the Municipal Association for Environmental Quality in Judea, a settler environmental group. He and others have pushed to close regulatory loopholes and enforce environmental standards at a local level. Even so, the combined effect of Palestinian and Israeli water pollution is threatening to contaminate the Mountain Aquifer, which is located beneath the West Bank and part of Israel. A 2004 report by FoEMEcalled the Mountain Aquifer the “largest and most significant groundwater reservoir in the region”.Palestinians are almost entirely reliant on it for fresh water and it is also a water source for Israeli population centers. In areas close to Tulkarem and Qalqilia, in the northeastern West Bank, wells tapping into the aquifer have been closed because they reached levels of pollution above safe drinking standards, Arbel says. The threat of polluting the aquifer, according to the FoEME report, is “one of the most severe environmental problems threatening Palestinians and Israelis”. More immediately, the pollution is reaching Palestinians through the food chain. In the Salfit area, for example, animals drink from polluted streams and graze in areas nearby. “I don’t drink milk or eat meat from this area anymore,” said Afaneh, the engineer overseeing the Salfit project. In the absence of a solution, Palestinian residents like Khaled Sabra are left to live with the short-term consequences as a broader environmental crisis waits on the horizon. When he moved to Bruqin in 1987, Sabra said, “it was the most beautiful area in the country”. Now, the situation is insufferable. “Where else can I go?” he asks, as he stands holding his daughter’s hand by the polluted stream running in front of his house.